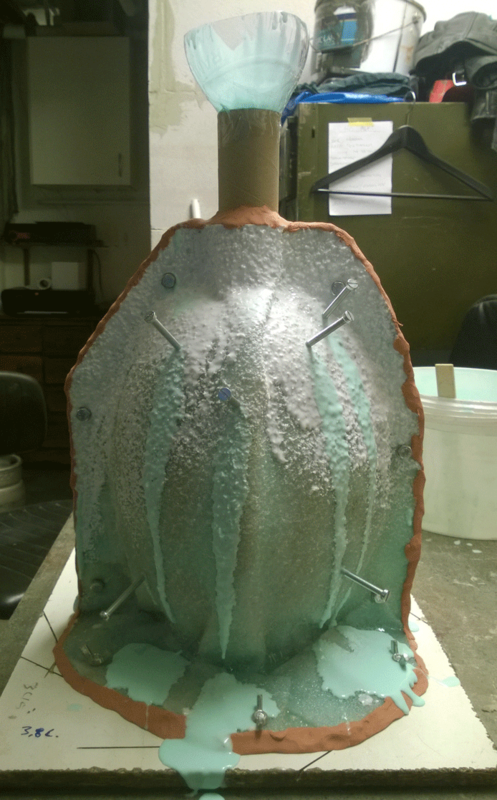 Working with a model created by the client, we did a silicone and glass fiber matrix mold of the master pattern. 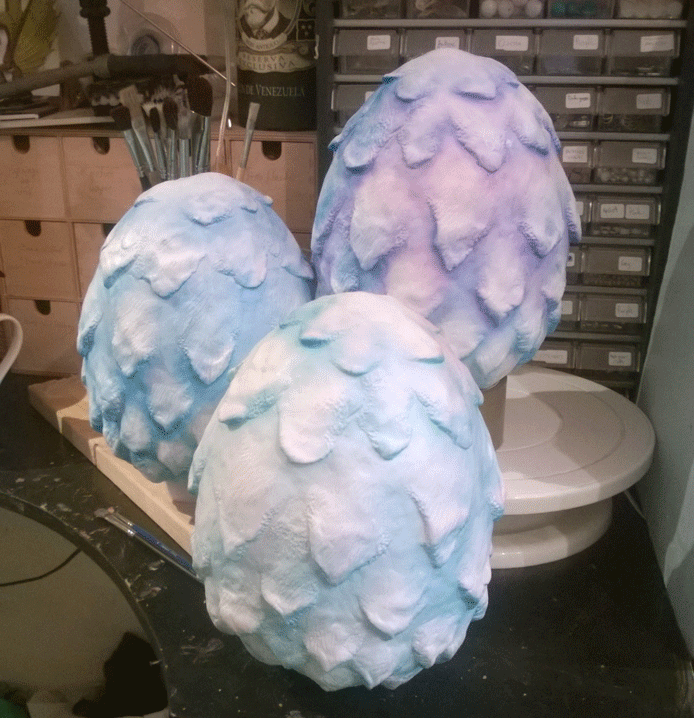 The dragon eggs could then be roto-cast or slush cast to create a thin shell of polyurethane resin. 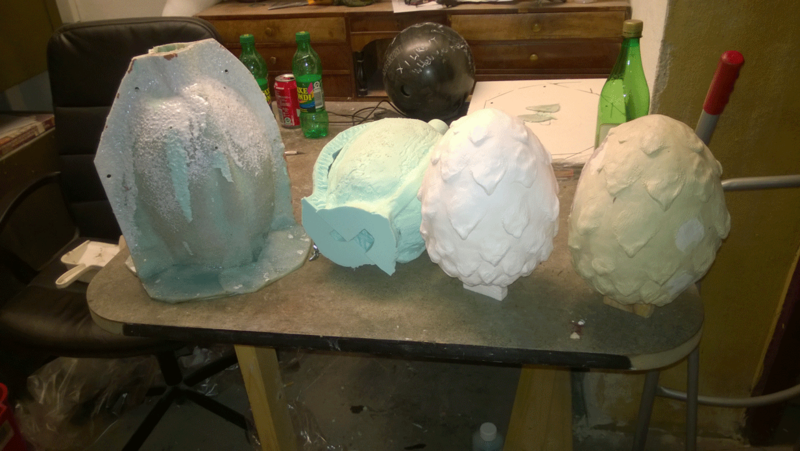 Ready for painting and finishing with minimal retouching needed.